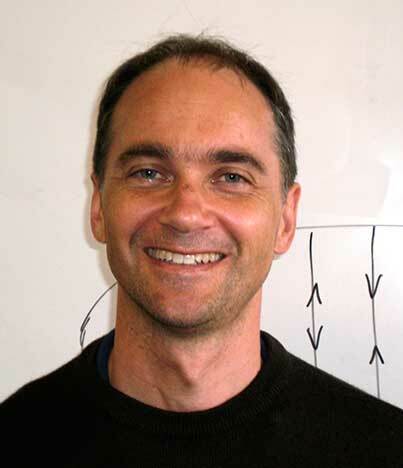 Andrew Hassell is a leading Australian mathematical analyst, who specialises in the spectral theory of partial differential equations, and harmonic analysis of manifolds. He has made significant contributions to mathematics in the areas of quantum ergodicity and quantum chaos, analysis on asymptotically conic spaces, time-dependent Schrodinger equations and Strichartz estimates, scattering theory, spectral invariants and numerical analysis. He has aroused considerable interest internationally by exhibiting examples of planar domains on which the billiard flow is quantum ergodic without being quantum unique ergodic.